Army veteran Kevin Ramsey, 47, works for Skookum Enterprises, which hires the disabled to repair combat vehicles at Fort Lewis. 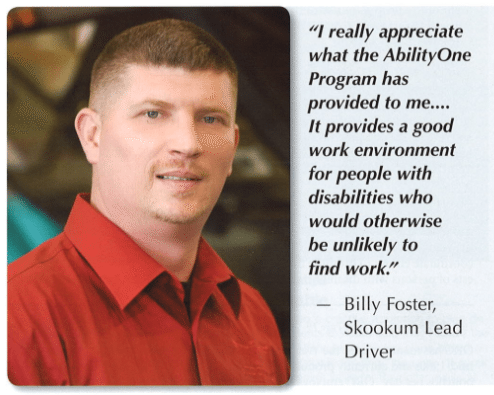 Billy Foster has an extraordinary memory. He serves as the lead driver for the Skookum wheeled vehicle contract at Fort Lewis, Wash., manages a team of four other subordinate drivers and keeps track of more than 3,000 vehicles.